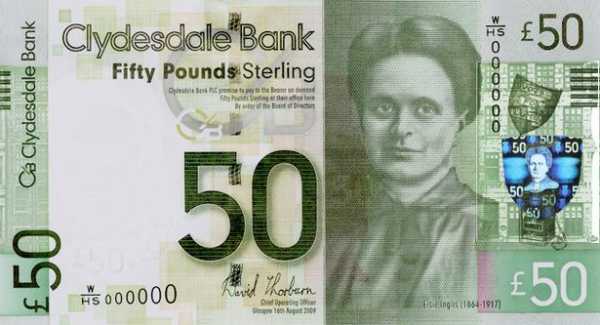 Dr Elsie Inglis (1864-1917) was a pioneer of women’s medicine. After studying at Edinburgh and Glasgow, Dr Inglis campaigned against poor standards for female patients, establishing medical practices and a maternity hospice in Edinburgh. 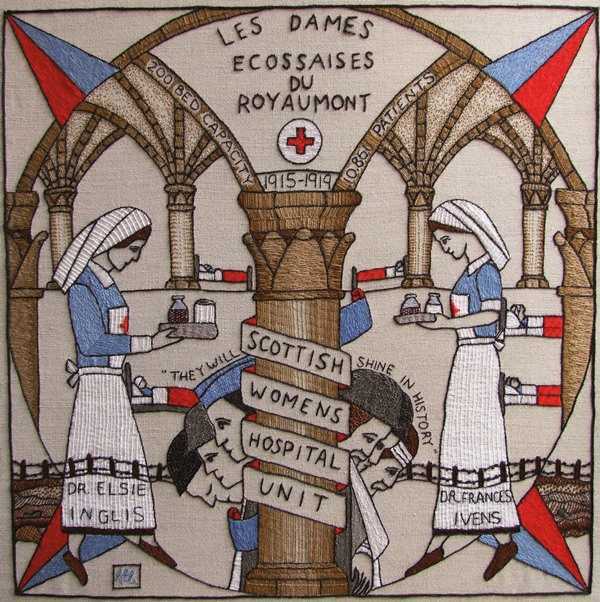 With the outbreak of the First World War she was a founder of the Scottish Women’s Hospitals for Foreign Service, which opened medical units across the war front and provided vital services such as nurses, orderlies, and ambulance drivers. The first to open was a two hundred bed auxiliary hospital in the medieval Royaumont Abbey, north of Paris, under the auspices of the French Red Cross. B’ e tùsaire ann an leigheas mhnathan a bh’ anns an Dr Elsie Inglis (1864–1917). An dèidh a hionnsachadh ann an Dùn Èideann agus Glaschu, thòisich an Dr Inglis ag iomairt an aghaidh droch ìrean mathais do dh’euslaintich bhoireann, a’ stèidheachadh ionadan leigheis agus ospais màthaireachd ann an Dùn Èideann. Leis a’ Chiad Chogadh Mòr a’ briseadh a-mach, chuir i air bhonn Ospadalan Mhnathan na h-Alba ann an Seirbheis Cèin, a dh’fhosgail aonadan leigheis air feadh nan raointean cogaidh, a’ solarachadh sheirbheisean deatamach leithid banaltraman, luchd-taic agus dràibhearan charbadan-eiridinn. B’ e ospadal taic le dà ceud leabaidh a’ chiad fhear a dh’fhosgail, ann an Abaid mheadhan-aoisean Royaumont tuath air Paris, agus fo stiùireadh Crois Dhearg na Frainge.